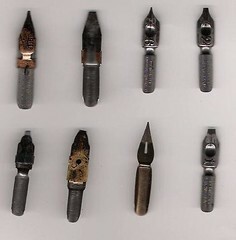 I collected pen nibs and made pens as a student. 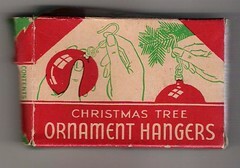 I still love the variety of shapes and sizes, the stamped lettering and mixture of metal. Another great present from Snapatorium. 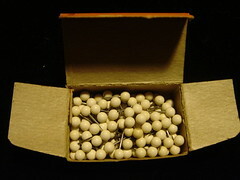 The box is full to the brim of Tacks. 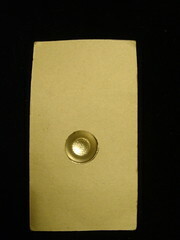 I love the tack illustrations too. 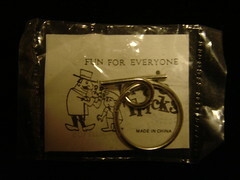 A wonderful object sent from Sylvie and Jon.. 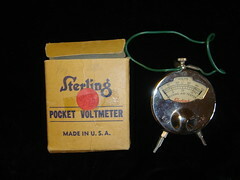 The paper dial inside says its a hearing aid tester. This instrument was carefully tested and inspected before leaving the factory by operatives skilled in the handling of delicate mechanism. If Accidentally damaged, do not meddle with it. 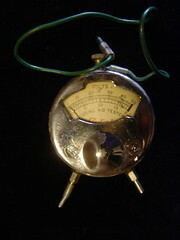 Under no circumstances wll the manufacture be responsible for instruments where there is eveidence that the case has been opened or the outer connections tampered with. 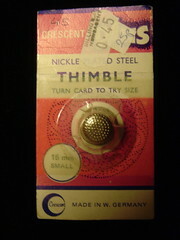 Very clever packaging, which allows you to test the thimble whilst it is still on the card. 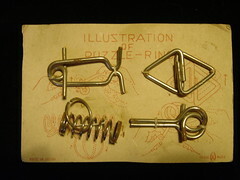 A puzzle out of a Xmas cracker. 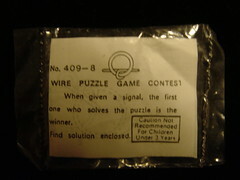 When given a signal , the first one who solves the puzzle is the winner. 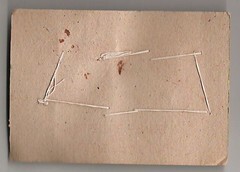 The back of the puzzle card. This posting such perhaps be on Michael's obscure Blog. I love the hand stitching. A lovely collection of metal puzzles sent by Snapatorium. Great line drawings on how to solve them. A bit late for Xmas, but something to remember to put on the list ready for next year. 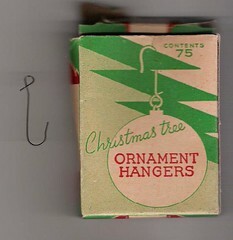 A box of specially bent bits of wire, purpose built to hang Xmas baubles. 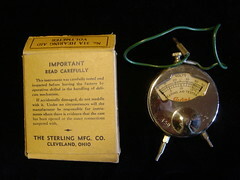 Reverse of the box with picture demonstrating how the bits of bent wire are to be used. 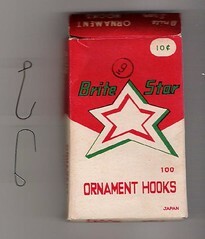 Another box of similar hooks bought from the same stall.